Natural glowing protection, coverage and hydration! The revolution that fits in the palm of your hand! All Mineral Powders are the same right?….WRONG! Not all mineral powders are made equal! Even powders that call themselves ‘natural’ and ‘mineral’ still have ingredients that can irritate and congest your skin. Next time you’re looking at mineral powders look out for nano, talc, filters, bismuth, preservatives and binders – these are the ingredients that you DON’T want on your skin. If you’re going to go natural, why not make sure you’re going TRULY natural? Your skin will thank you for it! Blend the powder and skincare base together. Apply evenly onto skin. Finish with Blush/Bronze or use dry powder for extra concealing and finishing. Omega 3.6.9 For a natural dewy/glowing finish. Great for those with aging skin or dry skin. Moisture Lite For a matte finish. Repair Intensive For a matte finish for sensitive/acne prone skin. Repair Intensive is great for those with acne prone skin as it sits nicely around the area of a breakout, rather than a ‘cakey’ look. This product contains potent antibacterial and anti-inflammatory naturopathic grade herbs which heal and nourish the skin – this is why its so great for sensitive and acne prone skin. Changing to a more natural makeup system is always going to assist with acne prone skin, re congesting the skin everyday with makeup can cause more issues for skin. 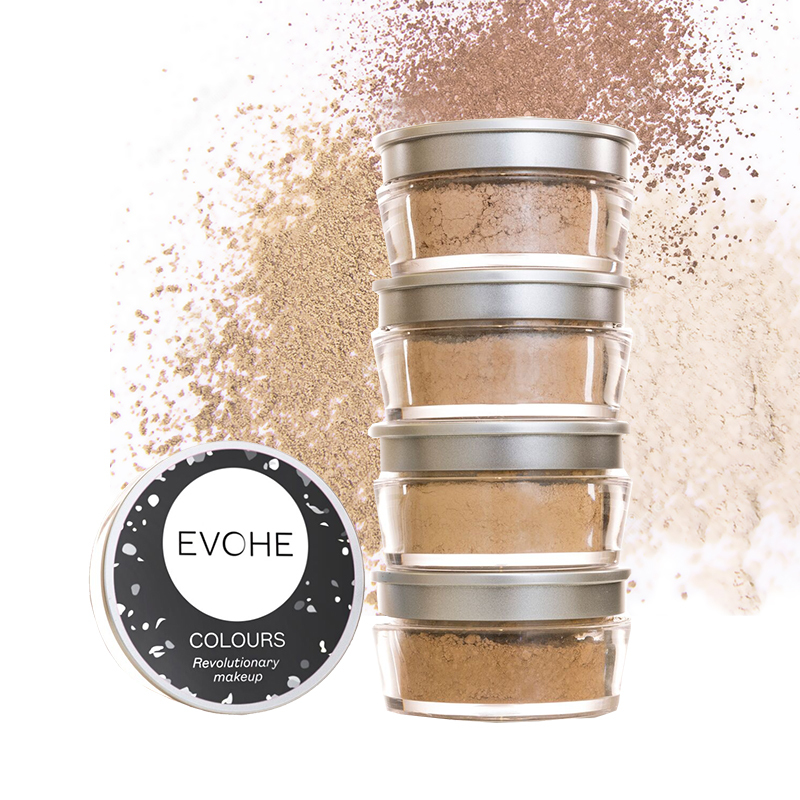 Mixing the Repair Intensive and EVOHE Colours ensure a 100% natural system for the skin, healing while wearing! Apply to the apples of your cheeks – just smile and see where these are! Mix with Omega 3.6.9 for a tinted and super hydrating lip moisturiser. Apply on the areas of skin that naturally hit the light such as the forehead, nose and brow bone. Use under cheekbones as a contour. Also looks great dusted on decolletage. Try blending some Bronze with Omega Body and massage over body for a golden sun-kissed glow. For a concealer type coverage, mix in more powder to your skincare base. When applying makeup all over face, instead of applying a thick layer of foundation to cover any imperfections, use normally all over face and then mix a thicker concealer consistency (with more powder) and go back over areas that need more coverage. This can even be created thick enough to cover tattoos, birthmarks and scars! This entry was posted in Beauty, Make Up, Products and tagged beauty, evohe colours, makeup, products.